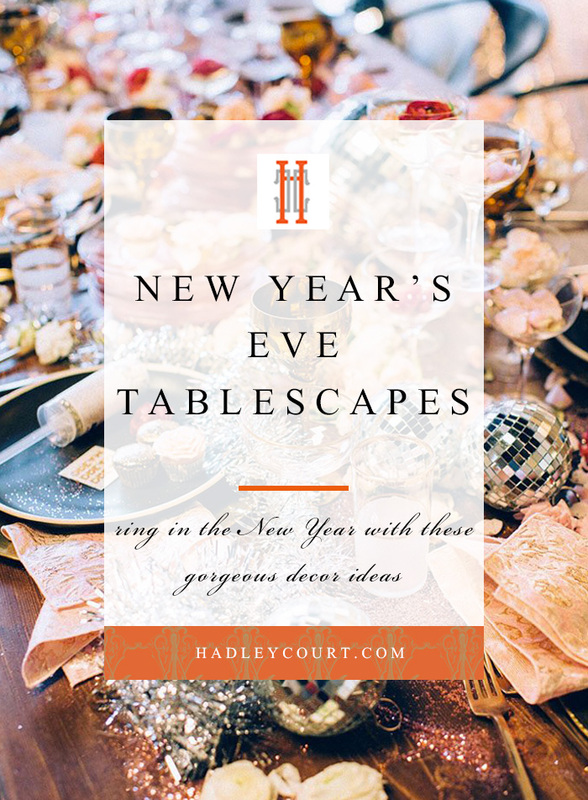 We love the idea of ringing in the New Year with a fabulous dinner party, and these glamorous New Year’s Eve tablescapes are sure to inspire. 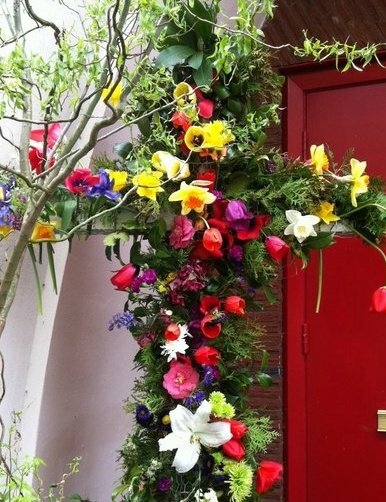 Just add your favorite friends and some bubbly and you’ll have the perfect scene for the best party of the year. 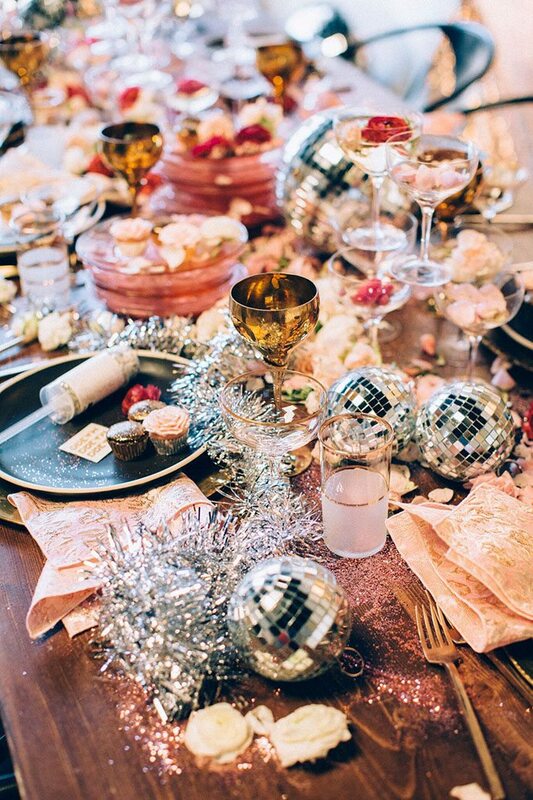 New Year’s Eve conjures up images of all things shiny and pretty, so a glam and gold tablescape is always a good idea. 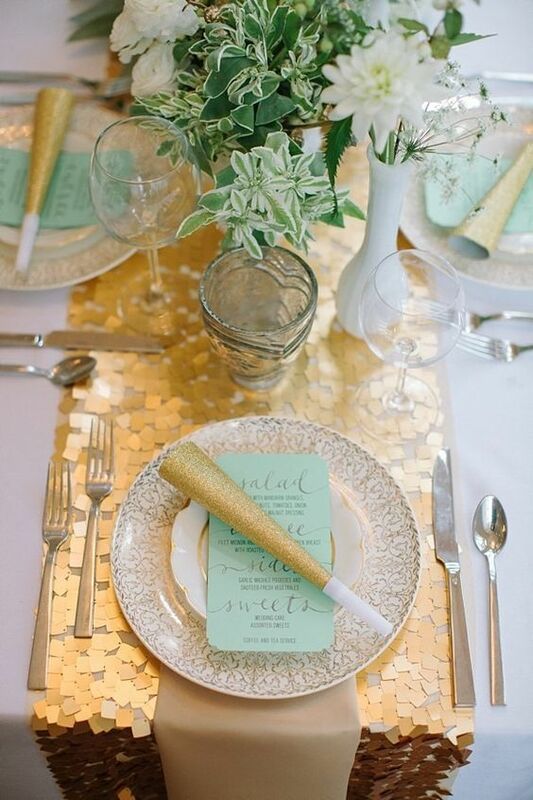 We love the idea of this sequined gold table runner, which adds just the right amount of glitz to this table. Sequins are as ubiquitous to New Year’s Eve as a good glass of Champagne, so it’s no surprise many hostesses will dress the table in a pretty sequin tablecloth. 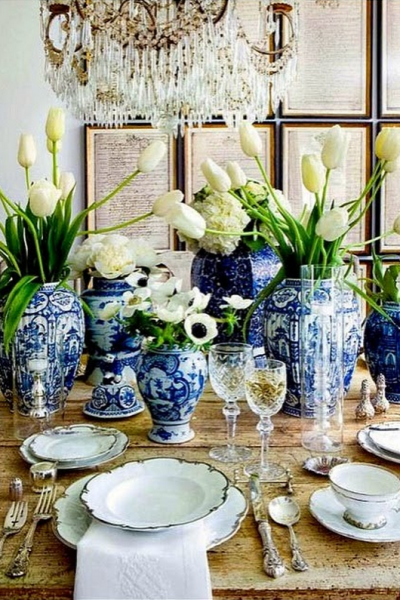 When outfitting the table with sequins, stick to just one item such as the tablecloth or sequin accents, but never both. 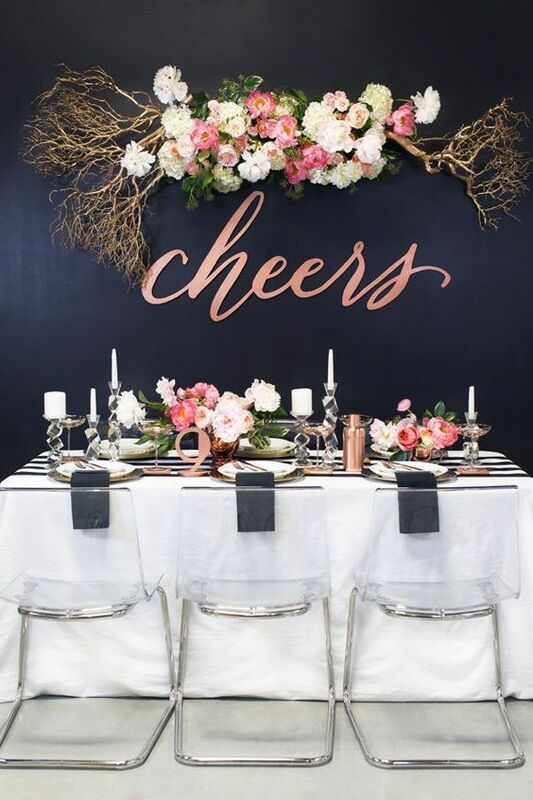 New Year’s Eve is probably not an occasion where you think of soft colors, but we love the look of this bold and feminine tablescape. Pretty pink flowers are juxtaposed with a bold table runner and accents that create a perfectly elegant setting to ring in the New Year. There is no such thing as over-the-top when it comes to New Year’s Eve, so feel free to go all out with your New Year’s Eve tablescape. 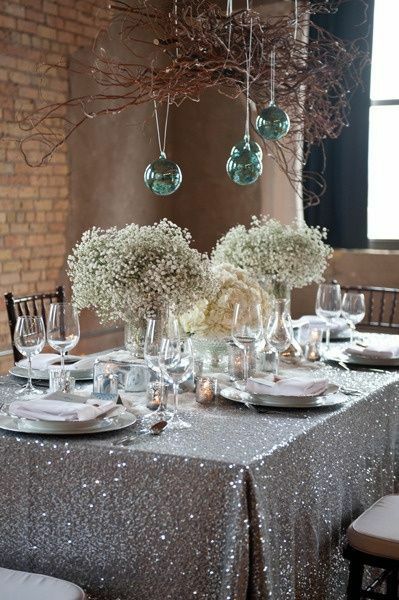 From shiny tinsel to glitter and ornaments, just about any Christmas decor can also double as your table decor. 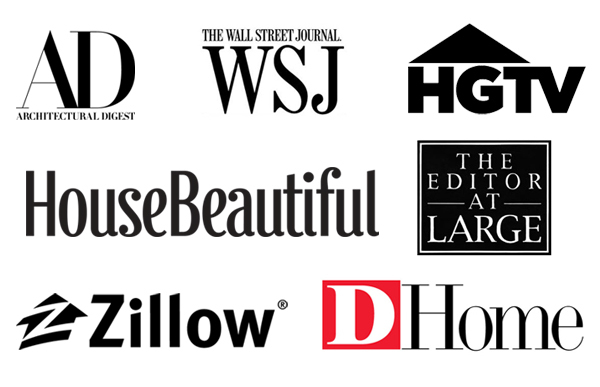 Keep things streamlined by decorating in the same color scheme. 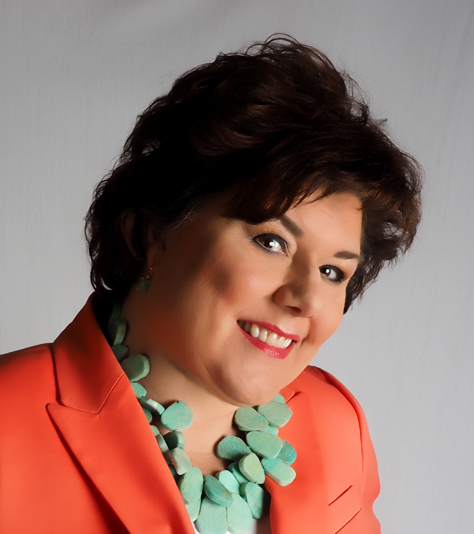 Time is a ticking! 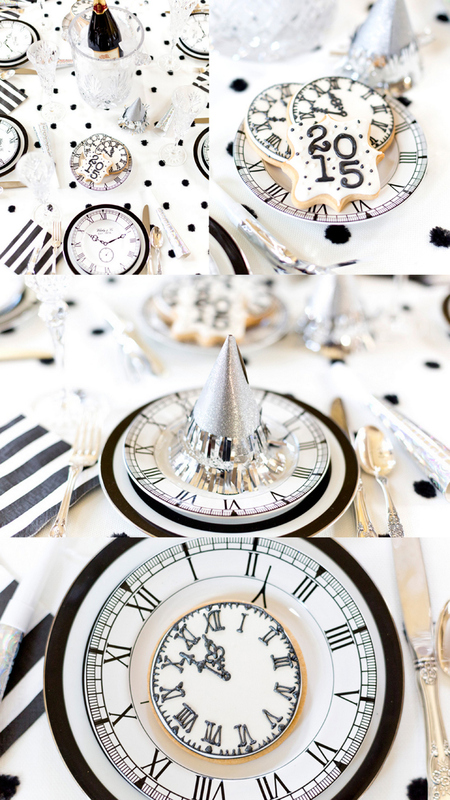 A countdown clock theme is a great New Year’s Eve tablescape idea. We love these clock salad plates nestled in elegant chargers; you can also intersperse small clocks around the table or make sugar cookie clocks like these. A black and gold tablescape is perhaps the most classic New Year’s Eve tablescape idea, and it’s one that never goes out of style. 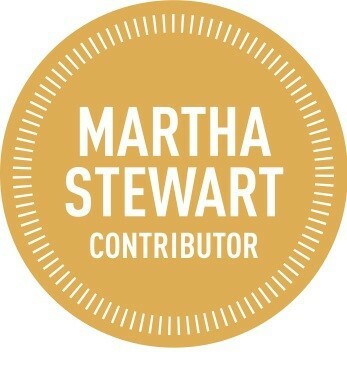 A black tablescape is elegant and dramatic and you can easily accessorize with gold accents. 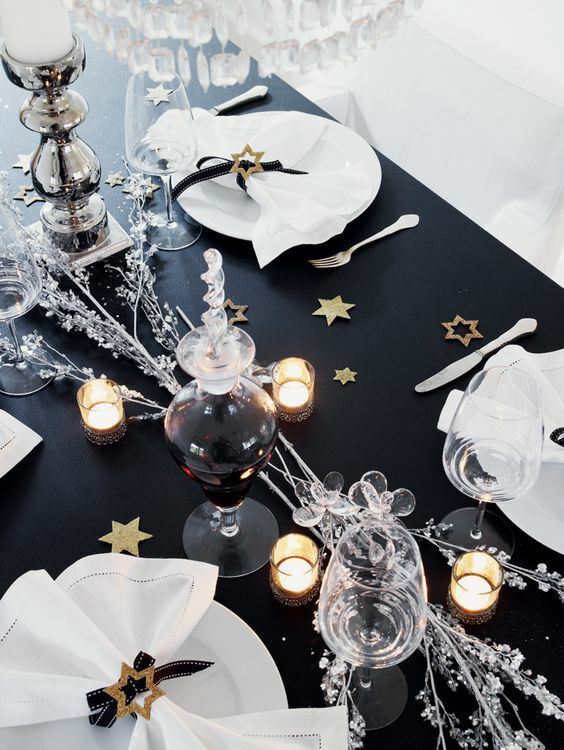 What are your favorite New Year’s Eve tablescapes?